SpiceJet in Q(2) – Great Performance in Testing Times. Interlysis with Shyson Thomas – Air Pegasus, Unplugged. The Airbus A320 is the first aircraft to be certified with the Pratt and Whitney (PW) Geared Turbofan (GTF) Engines. The GTF engines are revolutionary, moving somewhat closer to a turboprop with the presence of the reduction gear-drive. The A320neo (new engine option) variant with the PW 1127G-JM engines, the A320-271N, has run into a spot of bother, which has made Qatar and IndiGo refuse the aircraft with its present restrictions. Lufthansa is now the launch customer of the neo. The A320-271N was certified late November 2015. According to Air Transport World (ATW), “…operational restrictions are still in place for the Pratt & Whitney PW1100G engine, pending some hardware and software changes”. This restriction requires the engines to idle for three minutes before the aircraft can commence taxi. Qatar will not accept a part-baked product, and IndiGo will not operate an airplane that will mess with its strict turn-around schedule. The 5th production Airbus A320neo (-271), MSN 6801, is slated for Lufthansa, to be registered D-AINA. The 11th production A320-271N, MSN 6864, to be registered D-AINB, is the second A320neo slated for Lufthansa. The remaining A320neos upto the 11th are slated for Indigo (5), Qatar (2), and Spirit Airlines (1). Both are assembled at the line at Hamburg (Germany). The first A320neo is planned by Lufthansa to be introduced into commercial service in January first week, according to ATW. With Lufthansa stepping up as the launch customer, Qatar will become the second operator to induct the A320neo, and IndiGo the third. 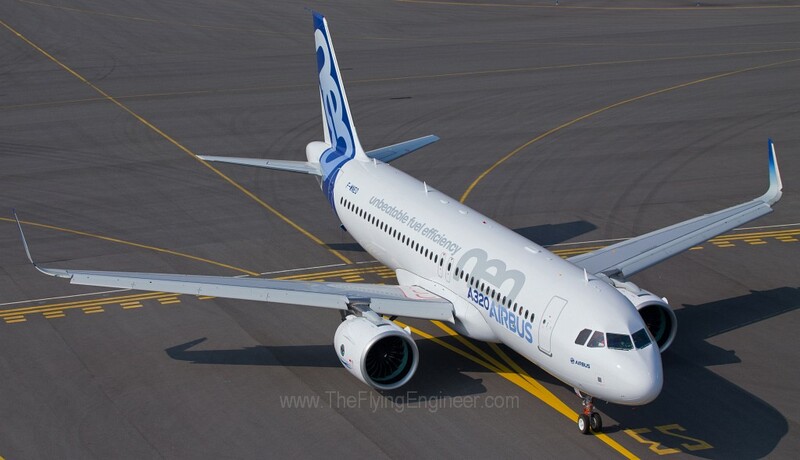 Go air is slated to receive the 23rd production A320neo (-271N). IndiGo will then receive its neos only in early 2016, as had originally been widely speculated, based on other issues the engine had earlier faced. The Pratt and Whitney GTF engine, by virtue of its new technology, will have its share of issues till the engine matures, as is the case with almost every new engine. While the GTF optimises propulsive efficiency through the use of a reduction gearbox to drive the three stages of the engine at optimal speeds, the alternate engine to power the A320neo, CFM’s LEAP-1A, optimises thermal efficiency by running the combustion chamber much hotter, relying heavily on material technology to withstand such temperatures. According to Aspire Aviation, the CFM engines have underperformed on fuel consumption, and is facing issues related to both component heating, and cooling mechanisms. While IndiGo and Go Air will bear the brunt of the bound-to-happen hiccups as the engine matures, Vistara, which is yet to make a decision on its engines in the first half of 2016, will receive its leased neos only in the second half of 2017. The airline will have good time to keep a close watch on the PW1127G-JM engine performance and reliability to make a better informed decision. While the aircraft and engine certification programme put the aircraft through extreme tests, it is also a known fact that Indian operating conditions are harsh for engines. Prolonged operations in Indian conditions will truly test the A320-271N. Air India has apparently not yet decided on leasing neos in the short-medium term. The “JM” in PW1127G-JM represents partner companies Japanese Aero Engine Corporation (JAEC) and (Motoren- und Turbinen-Union GmbH) MTU. JAEC holds a 23 percent share in the PW1100G program and is responsible for the fan, low pressure compressor (LPC) and combustor/diffuser. MTU holds an 18 percent share and is responsible for the low pressure turbine (LPT), and jointly with Pratt & Whitney the high pressure compressor (HPC). Pratt & Whitney is responsible for the remainder of the engine and systems integration. In this piece, we look into the significance of the E-Jets, particularly the 100 seat E-190, and the need for the Brazilian manufacturer’s launch of the upgraded, “Second generation” E-Jets. The Embraer E-Jets: Making Regional Sense. Bombardier stepped into the 70 seat jet space with the introduction of its CRJ700 into commercial operations in 2001, with Brit Air. 3 years later, Embraer introduced its 70 seat jet to commercial operations, with LOT Polish airlines. Till date, 192 Embraer E-170s have been sold, while the 70 seat CRJ700 has sold 347 airplanes. One Embraer regional jet, that has been very well received, is the 100 seat Embraer 190, which, till date, has raked up 560 orders. No other Bombardier 70+ seat aircraft, including the C-Series has managed to touch those numbers, yet. The Embraer 190 makes absolute sense. 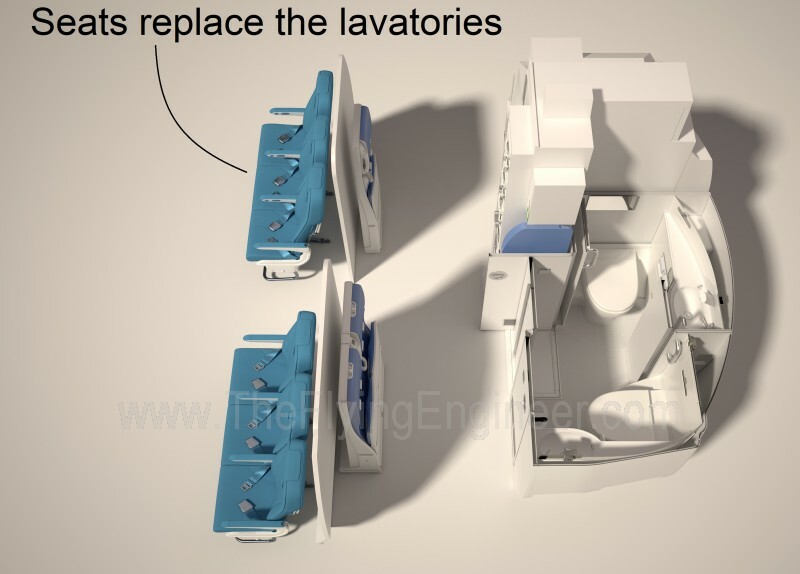 The typical single class cabin of the airplane accommodates 100 passengers comfortably. JetBlue, the largest operator of the E-190 with 59 aircraft, complements its Airbus A320 fleet of 129 aircraft. Jet Blue’s A320s are fitted with 150 seats. Way back in 2003, when JetBlue had an all-Airbus A320 fleet and the cabins had 156 seats, the break-even load factor (BELF), as published by the airline, was around 72%, corresponding to 112 seats. To open up more routes which would have a demand less than this BELF, the 100 seat Embraer 190 was introduced in 2005. In the light of its reduced A320 seating, and spiralling fuel prices, the airline’s A320’s BELF has only gone up, further stressing the need for the Embraer 190. Embraer acknowledges that a big advantage for E-Jet operators today is their ability to use the aircraft to “right-size” in lower-density markets. But also acknowledged in 2010 was the realisation that if Airbus or Boeing re-engine their narrowbodies, and achieve better costs per trip, the advantage enjoyed by the E-Jets would disappear. This left only two options for Embraer: Introduce a clean-sheet airplane that competes with Airbus and Boeing’s popular narrowbody families-A320 and 737-an idea that has played with Embraer since 2009; or do something to the existing offering to retain the regional jet family’s attractiveness to operators. Late 2011, Embraer formally confirmed its decision to abandon the development of a competing airplane (which otherwise would have put 4 players in the coveted segment, including Bombardier with its C-Series), and instead focus on enhancing the value of the Embraer 170 and 190 families through a possible stretch and a definite re-engine, at an estimated program cost of US$1.7 billion. This was the outcome of Boeing announcing the delivery of the 737Max in 2017: a period too short for Embraer to both hold its grip on the market with its existing offering while developing a competing airliner. This also reflects the industry’s lower appetite for risk. Embraer started working with E-Jet customers to define the performance goals and technical characteristics of the new aircraft family. One of the considerations was a composite airframe. Early 2012, Air Lease Corp advised Embraer to stretch the Embraer E-190 by 1 row (4 seats) and the E-195 by 2-3 rows (8-12 seats). The aim was to add capacity to compete with the CS100, while allowing for pricing flexibility in the light of much lower development costs associated with an airplane upgrade rather than a clean sheet design. Adding to this advantage is the huge customer base of Embarer’s E-Jets. A customer would prefer an upgrade “within the aircraft family” for near-seamless operational integration, rather than an all-new aircraft. Embraer claims to be not just re-engining, but investing heavily to achieve the efficiency of a clean-sheet design. In January 2013, Embraer selected the Pratt and Whitney Geared Turbofan PW1000G series to power the second generation E170 and E190/E195 aircraft, which it calls the “E-Jet E2 family”. The wings will feature a higher aspect ratio, longer wingspan, and raked wing tips instead of winglets. The landing gear will be lengthened to accommodate the larger engines, and the flight deck will feature the Honeywell’s Primus Epic™ 2 advanced integrated avionics system with large landscape displays, advanced graphics capabilities, and Honeywell’s Next Generation Flight Management System (NGFMS). The new airplanes will be 100% fly-by-wire, unlike the in-production E-Jets. Unlike the C-Series, the wings for the E-Jet E2 are all metal, as, according to Embraer, composites aren’t cost-effective for such-sized airplanes. Embarer’s late announcement of the selection of the geared turbofan actually stands in its favour: the airframer benefits from Pratt and Whitney’s work on the smaller PW1200G for the Mitsubishi Regional Jet (MRJ), and the larger, mature PW1500G for the C-Series, both of which engine families are almost identical to those being offered for the E-Jets. : The PW1700G for the E175-E2 and the larger PW1900G for the E190/195-E2. The reason to select the Geared Turbofan is not just the gear in the fan, which optimises fan speeds for greater efficiencies. The significant thermal margins available can allow for future engine thrust upgrades, allowing for further aircraft upgrades with the same engine family. The E-175 E2 can seat 88 passengers in a single class, in a comfortable 31” seat pitch. The in-production E-175 can seat only 78 passengers, comfortably, and 88 with an undesirable 29” seat pitch. The E-190-E2, which is poised to continue the legacy of the well-performing in production E-190, comfortably seats an additional 6 passengers in a uniform 31” seat pitch. The existing E-190 can seat 114 passengers, but with a compromised seating comfort. The fuel efficiencies of the E-190-E2 lend it more range than the E-190. The E-195-E2 seats 132 passengers in a uniform 31” seat pitch. The In-production E-195 can seat no more than 124 passengers in high capacity, and 116 in single class (with 31% of the seats featuring a 32” pitch, and 69% featuring a 31” pitch). Sometime in 2009, Embraer had studied an aircraft of such capacity, dubbed the E-195X, which would have used the same engines as the E-195. The concept was eventually dropped in 2010 the light of degraded aircraft performance in the absence of a re-engine. Owing to its poor sales and the drop in demand for 70 seat jets, the E-170 won’t be re-engined. Embraer’s best bet is on the 106 seat E-190-E2, and hence is focusing all its energy in targeting an entry-into-service (EIS) of mid-2018. The E-195-E2 will follow in 2019, and the E175-E2 in 2020. Embraer foresees a demand for 6,400 commercial jets with capacity of up to 130 seats, over the next 20 years. With more than 1,200 E-Jets orders, Embraer has achieved a 42% market share in its segment. While Embraer will aggressively compete with Bombardier’s CS100, its present and future E-Jet offering has, and will eclipse Bombardier’s present line up of the CRJ family: CRJ700, CRJ900 and the CRJ1000, all three now marketed with the NextGen suffixes. Embraer is poised to grab a large share of that forecasted market. *This section builds on research for a comprehensive article on the C-Series by The Flying Engineer. The Flying Engineer, true to his name, has fun dabbling in engineering projects, small or big, that have to do with anything that flies. Here, he describes the project that needed him to make a thumb press-engine kill switch, using commercial off the shelf components, in the absence of a slender dual pole push button. There is a buzz about the PW1100G Geared Turbofan Engine from Pratt and Whitney, that will power the first A320NEO. The PW1100G is a family of ultra-high bypass engines, part of the PW1000 series. The Flying Engineer welcomes you to enjoy the most technical take on the engine, that will leave you either educated, or snoring on your chair. Grab that coffee, and appreciate the next big thing in jet transport as we know today: Geared Turbofan Engines. In this article, we explore, at a high level, the design of the PW1100G family, how it compares with existing A320 engines, the differences, on a high level, of this family with the competitor’s offering: the LEAP 1A, why the Boeing 737MAX family doesn’t need such a large turbofan engine, and finally, before concluding, the pros and cons of such an engine. Why the ATR-72 sells better than the Q400.